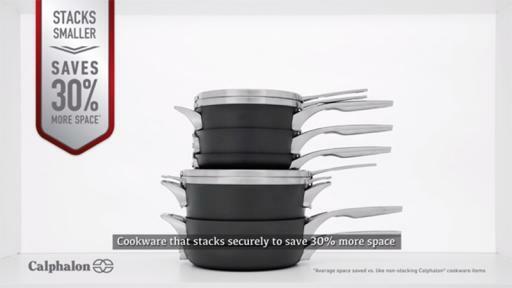 NEW Cookware That Securely Stacks to Save 30% More Space in the Kitchen. Boca Raton, FL. (October 12, 2017) – Calphalon, a leader in premium cookware, announces the launch of its latest innovation, Calphalon Premier™ Space Saving Nonstick and Stainless Steel Cookware, which stacks securely to save 30% more space* in the kitchen. 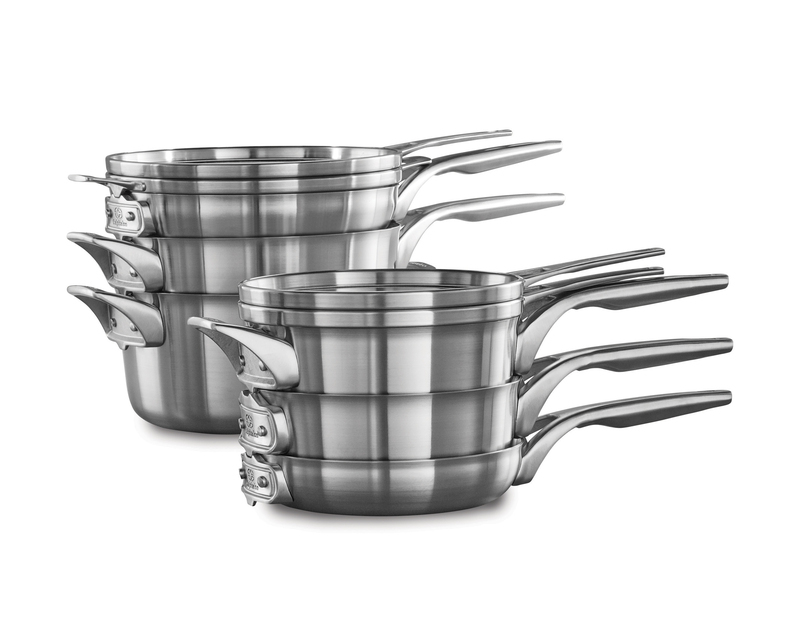 With a unique handle design and flat glass covers, the pots, pans and lids can stack and nest in any order**, allowing both professional and home cooks to save valuable cabinet space. 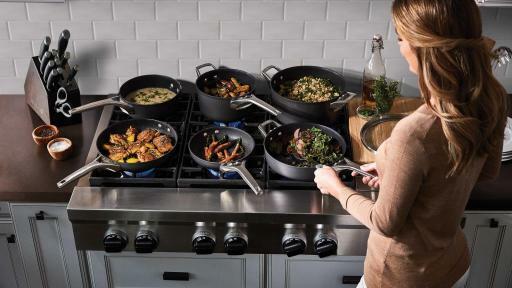 Both nonstick and stainless steel lines deliver exceptional cooking results, while providing consumers with a breakthrough solution that keeps their kitchen organized. 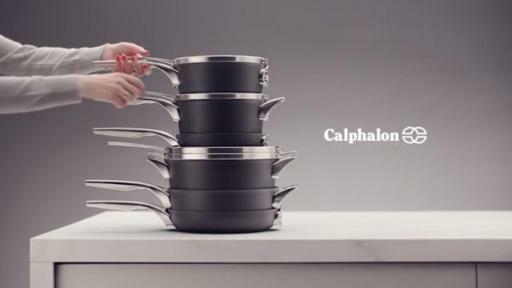 The Calphalon Premier™ Space Saving Nonstick line features a hard anodized construction, allowing for even heating, and a durable three layer nonstick surface that is strong enough to withstand metal utensils such as whisks, spoons and spatulas. The Stainless Steel line is crafted with a heavy-gauge aluminum core to quickly and evenly distribute heat. 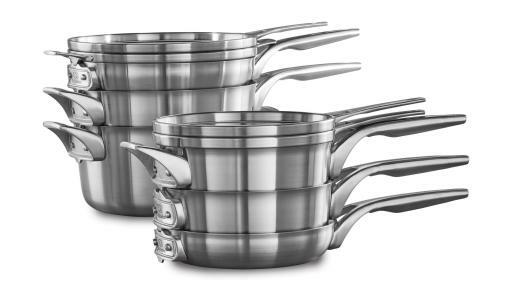 Both nonstick and stainless steel lines have handles that stay cool while cooking, are dishwasher safe, and come with a full lifetime warranty. 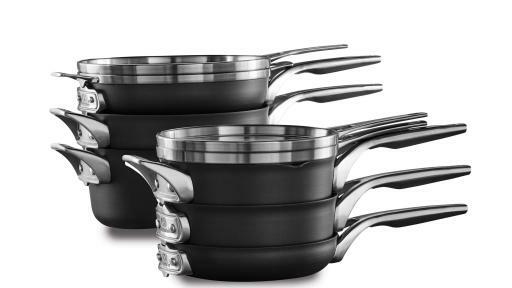 Sets of the Calphalon Premier™ Space Saving Cookware start at $99.99 and are available nationwide both in-stores and online at retailers including Bed Bath & Beyond, Macy’s, Williams Sonoma and Crate & Barrel. 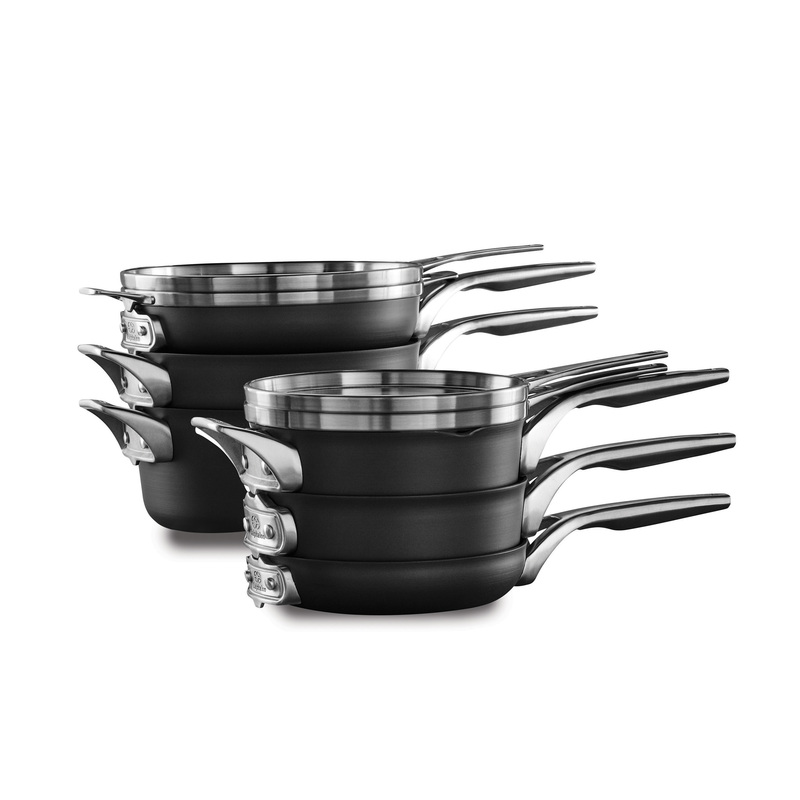 Additional product details can be found at Calphalon.com. For more information on Calphalon products, visit www.Calphalon.com or visit brand social media sites at Facebook.com/Calphalon, Instagram.com/Calphalon and Pinterest.com/Calphalon. 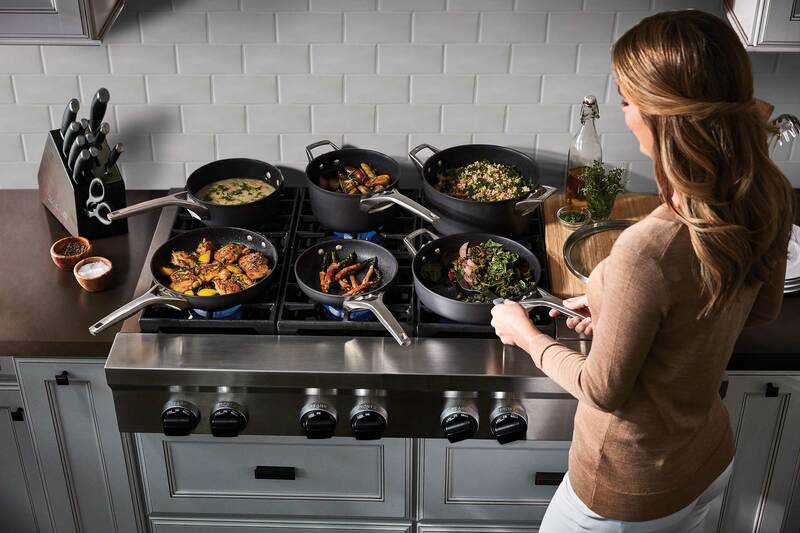 Calphalon is a leading manufacturer of professional quality cookware, cutlery, bakeware, and accessories for the home chef. Based in Boca Raton, FL, Calphalon is a part of Newell Brand’s global portfolio.